This article is part of our Business Startup Guide—a curated list of our articles that will get you up and running in no time! 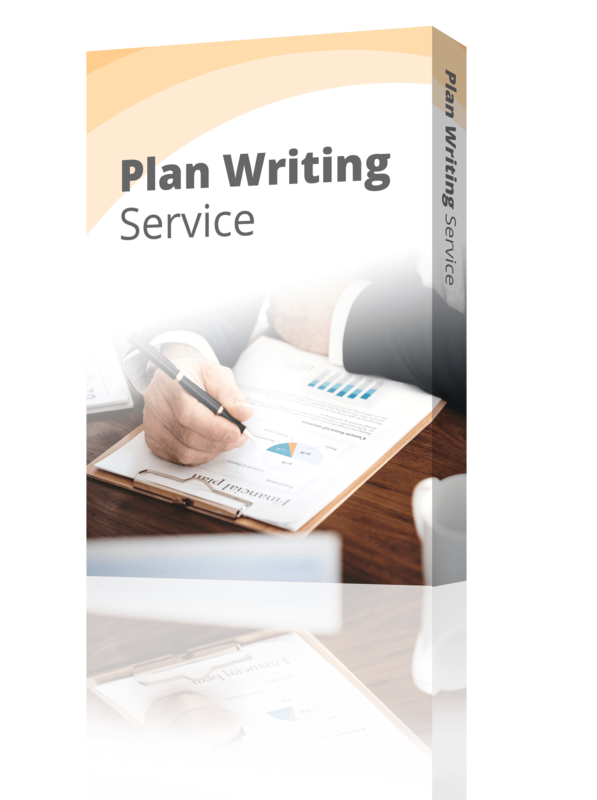 It’s also part of our Bplans guide to coming up with a great idea. For some people, coming up with ideas is as easy as spotting chewing gum on the sidewalk. For others, it’s nearly impossible. For me, new idea generation isn’t just easy, it’s something I’m doing all the time and often without trying. I do not believe this is an innate ability, but rather a “skill” that I’ve learned and practiced over the entire course of my life. While this “learning” has primarily been subconscious, as I’ve run into more and more people who struggle to come up with new ideas, I’ve made an effort to become conscious of how I do it and where I do it best. The fact that research on the subjects of creativity and innovation has become so popular certainly helps too. I fully believe that anyone who puts in enough practice and who makes a conscious effort to notice problems and identify needs can improve their ability to come up with new ideas. The brain is largely composed of neurons—about 100 billion of them. 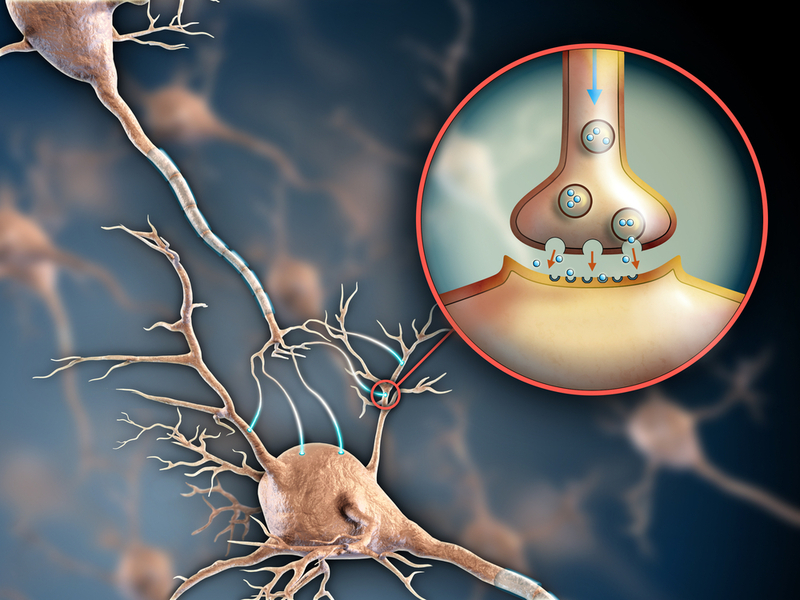 Connected together, they form a nervous system that is capable of making decisions, sensing surroundings, and issuing commands to our body. How we think, what we think, and what we’re capable of, are largely a consequence of the connections these neurons have made with one another. Every feeling, every thought, every memory, and every sensation you have is a direct result of the signals that pass between the neurons in your brain. In fact, something particularly interesting about the human brain is its ability to rewire these connections and to make new connections, regardless of age. Neuroscientists refer to this property as “plasticity.” And, the more experiences we have and the more changes in behavior or environment that we experience, the more plastic the brain becomes, or, the more capable of making new connections and rewiring old connections. This is why, in our older years when most of us do less and use our brains less, we have a harder time remembering information and controlling bodily actions. Our brain has not stopped being plastic, but has simply fallen out of the habit of making new connections. A similar difference exists for those in the habit of generating new ideas and those who aren’t. The more practice you get doing it, the better your brain will become at creating new connections. Simply put, the more active you keep your brain, the easier you will find it to come up with new, good ideas! Steve Johnson, the author of “Where Good Ideas Come From,” has spent years researching and writing about this subject. If you read his book, it will become obvious fairly quickly that the environments you spend time in contribute to or detract from your ability to ideate. When humans first organized themselves into dense settlements, innovation soared. With the invention of agriculture, for the first time, humans began forming settled groups that numbered in the thousands. This meant that more connections with more people were possible and that a good idea could quickly spill over and take root in others’ minds. With this in mind, let’s move on to how you can actually go about coming up with business ideas. The easiest way to come up with business ideas is to solve the problems you have. The second easiest is to solve problems others have. These don’t have to be big solutions like Google search or Amazon—they could be much smaller. One company that solves a big problem I have, thanks to owning cats that use the litter box a lot, is Fresh Step. Fresh Step has created a line of “scoopable” cat litter, which means that when the cat does its business, the litter clumps together and I can scoop it out no problem. Ultimately, it means I have to change the sand less often and that cleaning up is a lot easier. Another of my favorite products that solves a problem for me are my Bose headphones (mind you, I don’t have this fancy version). That’s because they’re fitted with noise-canceling technology. This means a lot when you’re working in a busy office, or when you’re taking public transport. Hello world, goodbye world. You literally have to be tapped on the shoulder to hear people coming. When I first tried these headphones on, I felt like I was underwater. Today, they’re a necessity. Many of the products you have become used to using were actually invented to solve a problem, including Thermoflasks to keep drinks and food warm, sunglasses to protect from the glare, security alarms to alert you that someone has broken in, fire hydrants to put out a fire before the whole place goes up, toothbrushes to keep your teeth clean, and dental floss to fish out unwanted food. The list is literally endless. Once you’ve realized that each of your own frustrations is actually an idea in the making, you’re actually going to start having fun! One of the frustrations that I wish there was a product for is something you probably think is too obvious—a jewelry stand. 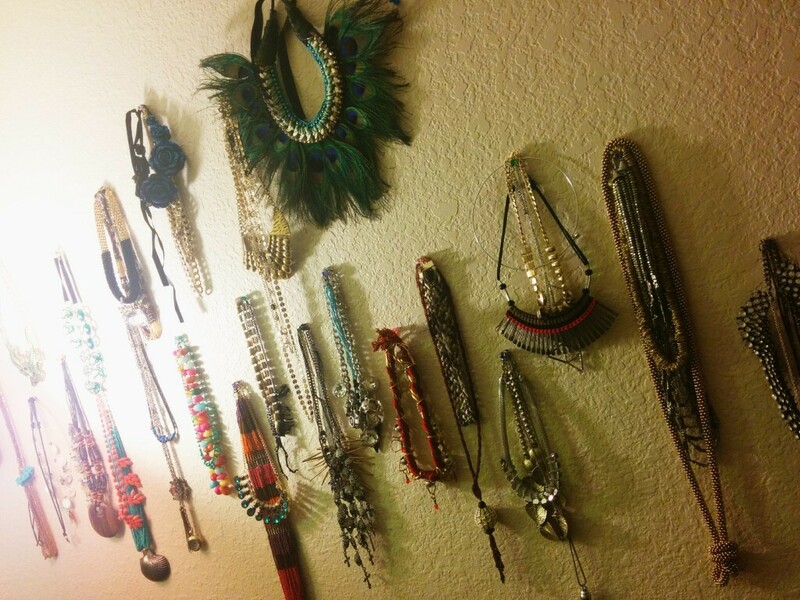 Because I have so much jewelry, I have to stick thumbtacks in the wall to hold it all up. There is no stand that I have seen on the market to solve my problem—only small stands for a time long past when people bought fewer but more expensive items. Today, I’d almost describe fashion as “disposable.” You buy something, you wear it a few times and set it aside, partly because things like costume jewelry have become so cheap. Because this is true, people that enjoy jewelry accrue a lot of it and, as you can see in the picture below, don’t have a place to put it. My problem? Too much jewelry and no stand to fit it all. Another good example of a company that has come with a business idea by solving a problem is U.K. car insurance company ingenie. For many young drivers, the cost of insurance just isn’t affordable. Ingenie has taken a rather clever approach to solve this problem. They’ve created a small black box that you fit into your car. As you drive, the box monitors your driving style, including things like braking, speed, acceleration, turns, and so on. Every 10 days, the box assigns you a score out of 100. The higher your score, the bigger the discount you’ll receive on your insurance policy come the three month review period. Ingenie claims to help customers (often students) save up to 50 percent of what they would otherwise be paying. And, there’s the added bonus of encouraging people to drive better. Very clever. I’ll leave you with one last example: consider GoPro, the camera company that got started in 2002. Founder Nick Woodman had recently been on a surfing trip to Indonesia, and was unable to find amateur photographers who could get close enough to get good action-shot pictures of him surfing, or who could obtain quality equipment at an affordable price. The solution to the problem? The GoPro camera—a wide-angle lens HD camera capable of taking excellent video and good action shots, and which could go where other affordable cameras couldn’t. Snap one into a case and you can literally do anything with it, from scuba diving and extreme mountain biking to flying (and crashing) a model airplane. 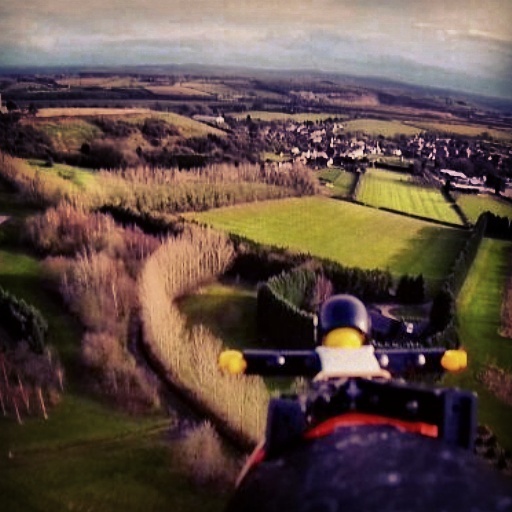 Footage shot by a GoPro camera attached to a model airplane in Derbyshire, England. As you go about your daily tasks, be they at home or work, try to get in the mindset of noticing the things that frustrate you. If you’ve been in a particular industry for a while, you may have good insight into this, as there may be things that have been a problem for a long time. This is why venture capitalists like Boris Wertz see value in investing in those that have a lot of experience in the market they’re pitching their idea for. He calls it “the secret of the market.” It’s this secret, or those problems, that you have to identify. For me, sitting at work, it’s having to stay at my desk—because that’s the only place I have two monitors—that irks me. A lot of the time, I need to leave my desk to do writing in a quieter area. But, without a second screen, writing and research don’t go hand in hand. I like to have my research up on the one screen and do my writing on the other. Moving away from my desk is always a sacrifice. The solution to this problem would, of course, be a laptop with two screens—now, who is willing to help me start the company? Even if you work for someone else, try to get into the habit of finding the pain points. It baffles me when companies have products that their own employees don’t use. 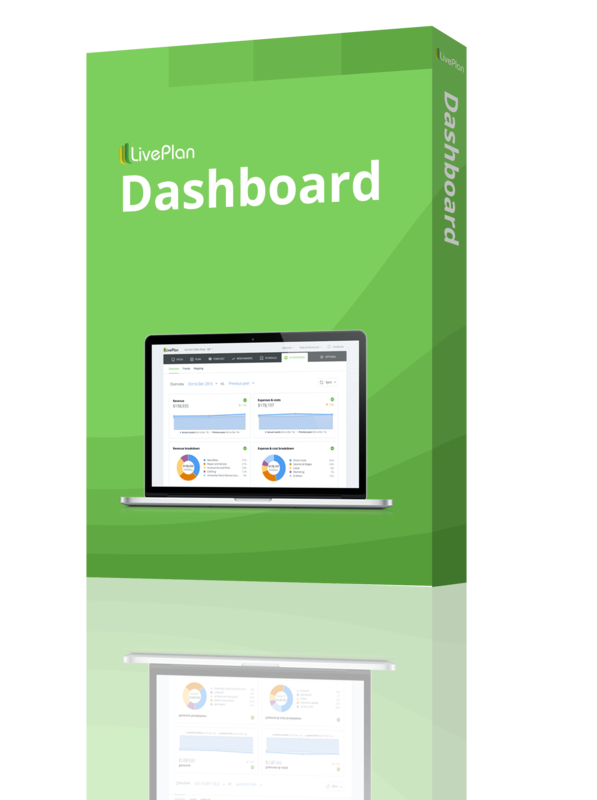 Palo Alto Software, for example, uses their own product, LivePlan, to manage and keep track of key business metrics. If they didn’t do this, they wouldn’t fully understand a user’s pain points, or know if problems needed fixing. Once you get into the habit of finding problems, you’ll probably start to enjoy it. Remember, every problem is an opportunity for a new product, service, or company, especially if it’s a problem many others have too. Solving problems that you currently have is not the only way to come up with new ideas. Why not think of solving problems that will exist, but don’t yet? In this very futuristic sense, no one stands out quite so well here as Elon Musk. The ventures he undertakes, including Solar City and Tesla Motors, may make some scoff, but lack of fossil fuels will become a problem in the near future, and Elon is taking steps to fix that before it happens. This gives him the time to innovate, as he’s first in and it gives him market share. Good luck to others catching up! If you think there’s not yet a market for your idea, you may just be able to create one by appealing to those that, like you, believe it will be a problem in the future. At present, there are numerous potential problems with obvious solutions, including desalination plants for California, a state that is quickly drying up and running out of water, preventative medication for diseases that could become problems (like ebola), makeup and accessories to protect privacy when face recognition software really takes off, and breeding programs or nature reserves for animals that will become extinct without help. Physiological needs stay the same—the need for food, shelter, and water. Emotional needs tend to stand the same—often based on envy, greed, pride, and so on. What doesn’t stay the same are the products and services it takes to fulfill these needs. The easiest products to market are also products that fulfill a real or contemporary need. An example of a service that is everywhere now is cloud storage. You don’t hear as much these days about the growing CD or SD card market. You can still get them, but it’s increasingly easy to store everything online. It’s a result of our very contemporary need to have access to our data, information, photos, music, and so on, no matter what device we’re on. Google sells cloud storage, as does Dropbox, Amazon, Apple, Microsoft, and a host of private companies that do as well. Yet another great way to come up with ideas is to think about saving people money. I buy 23-watt, energy-saving light bulbs because they’re affordable, not because they last for years and are actually the equivalent of a 100-watt lightbulb, though that’s an obvious bonus too. I also continue filling my car with ARCO gas because it’s cheaper than Chevron and Shell, even though they’re owned by BP who was responsible for the horrible Gulf spill. And, even though I am desperate for real-life bookstores not to vanish as a consequence of sites like Amazon, I still prefer to buy my books on Amazon because it saves me a lot of money. Were it up to me, I’d own a Tesla, I’d only buy books from independent bookstores, and I’d buy all my food at local farmers markets. The truth is, unless you’re earning hundreds of thousands of dollars, pounds, or euros, it’s still a luxury to be able to make more “moral decisions” to buy from and support better companies and people. This is why, if you can figure out how to save people money, you’ll have a good business idea, new or not. Have a look at some of our money saving tips for further information on this topic. A coffee machine with a timer that ensures there’s hot coffee when you wake; a central vacuum cleaning system that means only carrying a hose and brush around the house rather than the full unit; a smart thermostat like Nest that can figure out how to save you energy; shopping baskets placed at convenient intervals in the store in case you decide you want to purchase more than what your arms can hold—the list goes on and on. Remember, coming up with business ideas doesn’t mean you have to focus on inventing new products or services. In fact, you could just as easily adapt an existing service or introduce a new benefit that makes peoples’ lives easier. Kohls is one company that I return to time and time again because they’ve got a lifetime return policy. Even if you’ve lost your box and your receipt, they will take back a product and replace or refund it—your choice. Not only does this make me feel good about the company, but it keeps me coming back, despite the fact that their prices have obviously been marked up to account for this benefit. In short, it makes my life easy. When I moved to Eugene, Oregon, I bought my microwave, kettle, toaster, and vacuum cleaner from Kohls, knowing that when they packed in, as electronics always do, I can take them back even if that’s in four years time when I’m guaranteed to have lost or thrown out my receipt. There are always small ways you could be making things easier for yourself or for others. In fact, if you think about doing this on an ongoing basis, you may find you’re also able to release new products that are simply a version of the old product that makes someone’s life easier in some small way. The Garmin Nuvi is a step up on GPS predecessors that did not include live traffic updates. This small addition makes the product so much more useful and helpful. The Waze app takes it a step further—you only need your phone to get those real, drive-time traffic updates and reroutes. No separate GPS required. Can you think of something—an action, product, service, or chore that could be adapted to make your life easier? My Salomon trail running shoes do exactly this. Instead of normal laces, they have pull laces, which means they don’t come undone when I’m running. They don’t fit as well as my Asics, do but they mean I stop a lot less because for some reason tying laces has never been my strong point. Start looking at the things around you and asking, how could this be easier? How could it be more intuitive, less stressful, and in general more pleasant to use? You may find that even the tiniest change will create something incredibly popular. The book, “The Design of Everyday Things,” can be a great starting point—check it out. In the online world, marketers and developers often look to “gamifying” software in order to make using it feel less onerous. That is, they come up with small ways to reward you for taking an action. When I go running, I use the Strava app on my phone to track my distance and my average speed. Each time I beat a previous record, Strava gives me a trophy or some other small acknowledgment that makes me feel I’ve achieved something. Occasionally, this will push me to go a little bit farther, as once I’ve got into the habit of receiving trophy icons, it’s very difficult to do a run and not get one! The point is, it makes my run a little more fun. What do you hate doing? How could you make it more enjoyable? Personally, I need someone to make hanging my clothes less of a pain, to make drinking water feel less like a “to do,” and to take all my bills and pay them for me. Know of any solutions? For those of you already actively making or doing something, this may be an obvious next step. Or, if you’ve been doing something on a regular basis and find yourself good at it but don’t think of it as a hobby, perhaps you should think about how it could be a business. Things that I do on a regular basis that could potentially be turned into business ideas include glass painting, writing, researching, jewelry making, fixing jewelry, illuminated lettering, social media training, and so on. Everyone has things they do on a regular or semi-regular basis. If you’re good at any of these things and are looking for business ideas, you just might want to think about turning your hobby into a business. My sister’s boyfriend, Alex Alotte, is doing just this. When he worked as a bartender in the San Francisco bay area, he wanted to be able to use the best tools possible, not just because a craftsman’s tools are his pride, but also because they’re an important part of your image. Alex catered for a number of reputable clients and companies, so this last part was especially important. Unfortunately, there weren’t a whole lot of quality muddlers on the market that he could choose from. Most were plastic, or they were made using boring wood, or they were poorly shaped, poorly finished—you name it. So, when a relative who was enrolled in a high school wood­ shop course heard about Alex’s hunt for the “perfect muddler,” he suggested Alex make one himself. 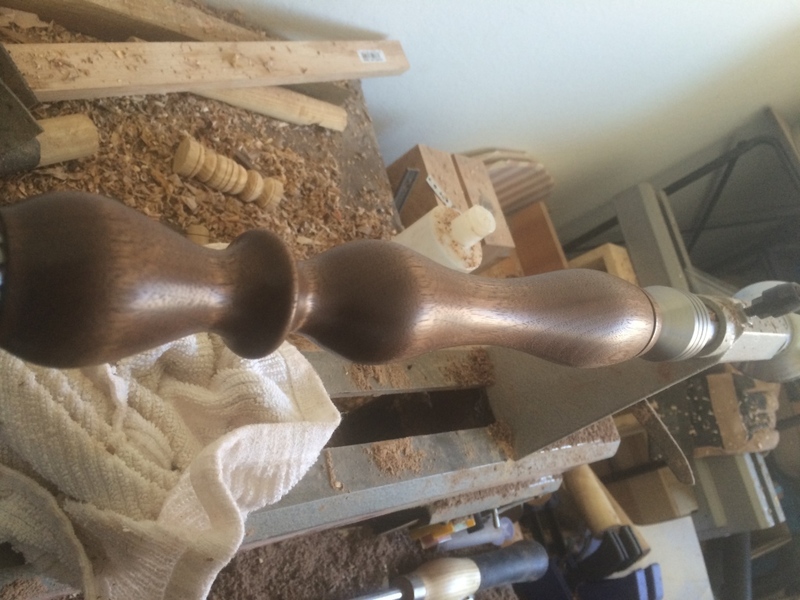 He purchased a lathe and all manner of other tools and set to work. The result is a product that resembles a small bat or large pestle, which, when used by a bartender, serves a similar purpose to a pestle, grinding, mashing, or crushing herbs, sugars, fruits, and ice. Mojitos are made using muddlers, but hardly ever using ones like Alex has created, out of beautifully-figured wood. While Alex is still refining his product, he’s already sold one of his “art” muddlers for 50 dollars. The next step will be setting up an online store and figuring out how to make this a full-time business. If you find the idea of starting a business intimidating, start with something you know. This way, it might not feel like a business and you’ll enjoy the process as you go. Be sure to think carefully about how you’ll feel if things do work out, however. You may find things suddenly become less enjoyable as you’ve got to start doing your hobby to meet customer demands or to pay the bills. Or, you might just need a new hobby! Take any of the human needs on Maslow’s hierarchy of needs and think of the products and services created to meet these needs. Then, build on those. Consider: As humans, we have a constant need to hydrate ourselves. If we did not drink water, we’d die. As such, we’ve had plumbing built into our houses and into all of the buildings we work in and visit. But, despite being able to pop in almost anywhere to drink water for free, companies have come up with additional ways to meet this need. They’ve provided solutions for water on the go. They’ve provided solutions for flavored water on the go, for “vitamin” water, even CBD-infused water in some areas. 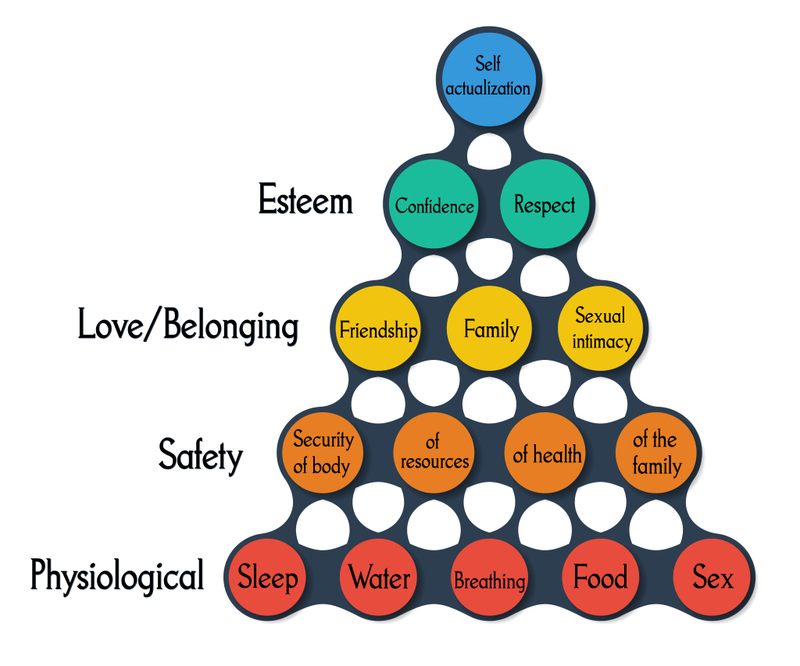 Move up to the love/belonging level on Maslow’s pyramid, and you get companies like Facebook that allow a user to feel a sense of connection with friends and family. Move up another level to esteem and you get the likes of Tony Robbins with books and tapes on how to achieve your dreams, improve your self-confidence, and become the best. It might feel a little manipulative looking at things this way, but many of the products you use already bear reference to these needs, including the toilet paper you buy (physiological), the locks you have on your door and the pepper spray you carry (safety), the birthday card you buy for your friend (love/belonging), the feedback you seek via recommendations on LinkedIn (esteem) and the tools and situations (like the Peace Corps) that allow you to practice your creativity, morality, or problem-solving skills (self-actualization). What makes you angry? What makes you happy? What makes you jealous? Author and renowned copywriter Andy Maslen phrases appealing to base emotions a little differently; he says, exploit a base emotion. Think of it as you will (positive or negative), but fundamentally, Andy is right. According to him, humans often make decisions based on one of seven emotions. When you consider some of the services and products available to us today, you’ll quickly realize how many of them were invented to appeal to or take advantage of these emotions. Take beauty salons as an obvious example; how many people really need their nails buffed or their legs waxed to survive? The fact is, that as a society, we have taken evolutionary reactions a step further. Where cleaning hair may previously have been an action we took in order to attract a mate and look better than the competition, today we’ve taken it to the extreme. Now, rather than simply having products that get the job done, we have products that build on and create new needs, like salt spray to add volume to hair, hairspray to hold a style, dry shampoo for when you don’t have time to shower. Companies are able to sell these products because they’re still able to exploit our base needs. I have very fine hair, so salt spray and volumizing shampoo is an easy sell. Oil, not so much—however, for my friends with really thick, bushy hair, oils are the easy sell. All of this is exploiting our pride. After all, none of these products are really necessary. Take a look at those seven deadly sins and see if you can think of how products and services you use on a regular basis are exploiting those needs. Perhaps you’ll even start picking up on how advertisers do the same! It’s true that the more you do and the more you experience, the more material you will have at your disposal to be able to create new ideas or stitch together seemingly disparate ideas. In fact, Bill Gates believes so strongly in the power of serendipity in order to come up with new ideas, that he frequently allots time to read books on a number of different subjects in a short amount of time. Nirmalya Kumar, professor of marketing at the London Business School, knows how important it is to be curious and to look outside of your own business or industry in order to come up with new ideas. In this video interview below, he says that if he did not read broadly and try to find connections, he would always feel he was going to write or say the same thing as everyone else. Primarily reading outside of business helps him come up with new ideas and draw new correlations between topics. His discussion with interviewer Matt Symonds is so interesting; I encourage you to watch it if you have the time. The other simple things you can do to make coming up with ideas easier is to simply do more. This is how I come up with new topics to write about, new case studies or people to mention, and new things to say. If I didn’t do this, I’d be limited to those things I know. Doing things and reading things that differ from my “usual” activities hopefully gives me more interesting stories to share! There is no shame in this. In fact, most good ideas are built upon someone else’s idea. The dissertation that I ended up submitting for my MA program actually grew out of the seed of a story that my sister had written while in high school. I liked her idea so much that during my undergraduate degree I built on the idea. Take J. K. Rowling and Harry Potter. Don’t tell me the Death Eaters weren’t modeled off the Ku Klux Klan, and that the spiders in the Forbidden Forest didn’t bear reference to Lord of the Rings, or that J. K. Rowling didn’t use myths as a basis from which to create the strange and fascinating creatures in her books. In fact, even the entirely fictional game of Quidditch has origins in the idea that witches ride broomsticks. She simply built on this idea. There are so many different ways to do this; I’ve only mentioned a few. However, I hope that through these examples, you’ll be able to come up with your own ideas or to improve on others’ ideas. Still looking for more business ideas? Check out the Bplans guide to coming up a great idea. Once you think you’ve found a solid idea to start with, check out this article on how to know if you have a good idea. And, this free downloadable idea checklist will help you think through every aspect of your potential business idea, including how to test it out.